Taco Soup is one of those things that you just don’t think about until you’ve had it, and then you can’t stop thinking about this wonderful bowl of goodness!! 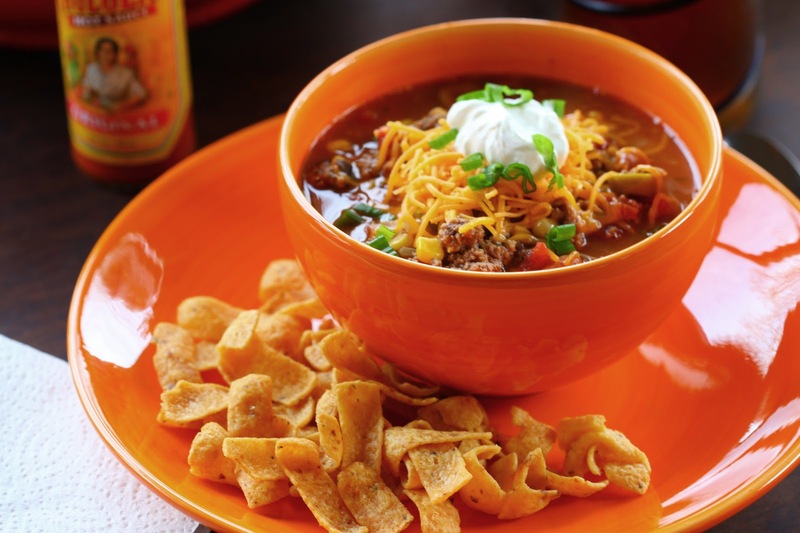 Think of Taco Soup as a combination of Vegetable Beef Soup and Chili. Throw in a bottle of beer and you have a fantastic comfort-food for a cool-fall day.